The rapid advancement of technology has had a positive effect in countless areas already to date. One beneficial instrument that technology has brought is the LED or light emitting diode devices or products. These are now the staple devices used in the lighting industry. This is mainly due to their low power consumption and very low maintenance. The creation and the use of LED products and devices is now a breakthrough globally. In actual fact, they are now used for various safety devices like warning signals, and status signals. This is actually a good thing, most especially for warning signals – because of these LEDs, the visibility of warning signals is way higher and much easier to recognize than ever before. This means that warning signals assist in providing better safety and security. Warning signals, as we know are devices that are obviously, used in giving warning to people. Nowadays, these are being installed almost everywhere to provide additional safety and security. It is undeniable that these warning signals play a huge part in our own lives. They can be found on the streets, in schools, offices, construction sites, even in shopping centres, airports and hospitals. If you want to make your establishment or infrastructure safer, then installing or placing warning signals can be advantageous. However, in choosing the best warning signals, they must be of good quality. Warning signals must be easily noticeable – aside from that it needs to attract the eyes in an instant, and / or attract or catch the attention through another sense, such as hearing or touch. Furthermore, it must also be very informative and easy to understand, to get the message across easily and clearly. Warning signals play an important role in providing safety – that’s for a fact! LEDs, or light emitting diodes are actually sources of light that are in a two-head form. There is some recent advancement in technology that led to the production of LEDs, which are ideal for environmental and task lighting. 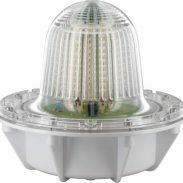 They are also then used for beacons and in warning signals in order to provide safety and security. Furthermore, LED technology has emerged now with the technology of warning signals in order to create a more beneficial warning device, that can be of great help in providing safety to many. This particular type of Light Emitting Diode warning signal is of continuous power supply. In actual fact, Static LED warning signals have a low power consumption, and can be simpler to design. 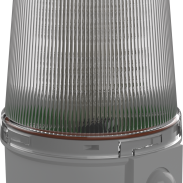 Various types of this certain Static LED warning signal have been consolidated into the range of the Pulsed LED beacon. The on board selection of the static or the pulsed operation is actually available in giving the maximum choice to the user at the time of the installation. Static Warning Signals are ideal for use in various industrial facilities, as well as in times of emergency, thus imposing safety and security. Moreover, just like any other warning signals, static LED warning signals are also necessary in particular applications. – Energy efficient: Since it uses LED technology, it consumes lesser energy. Although the initial cost can be higher, it can save you money in the long run. – Durable: Since it uses an LED semiconductor, it has a longer life expectancy than incandescent flashtubes. – Instant lighting: As it is a static type of LED, you can be assured that it will reach the maximum brightness output in an instant once you power it. It is with no denying that Static LED warning signals have many benefits. Not just because it is energy efficient, durable, and has instant lighting, it also imposes a great help in providing better safety for everybody.